Robert Hais was born in Halmstad Sweden 1978, by immigrants parents from Czechoslovakia, that fled the 1968 disturbances. He moved to London, England for education at the University of the Arts, fine art, and stayed there for some time before moving back to Sweden. Briefly staying in Gothenburg and Stockholm before moving back to the south of Sweden where he lives and practice art professionally today. The art is physical and structural, often large scale, communicating boundaries and interconnectivity, order and chaos, confinement and open space, all closely connected to the sites and places integrating with the public. Some of the works are digital, videos and animations, and deals with the same themes or narratives as the structural works, always in contact with the space around the work itself. 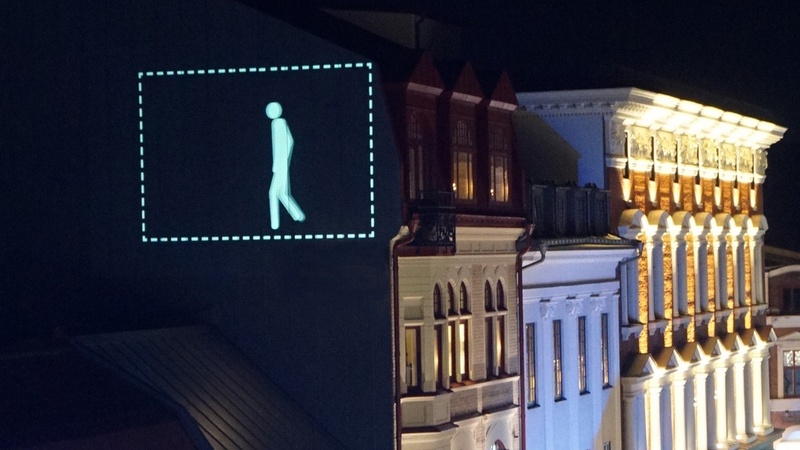 The project “exitman” is a series of works that consist of site-specific animations projected in the public spaces in cities. Gathering information about the place, meeting and talking to people about the area, to get an idea about what is going on, at the given time, is the foundation of the works. I am now in Red Hook, talking to people in the neighborhood, gathering as much info as possible to get an idea about what is happening here. It is not clear to me what this will lead to at the moment.